As an adolescent just getting into archaeology I was deeply puzzled by royal tombs. Why, I wondered, was so much wealth thrown into holes the ground? I did eventually figure out the importance of these rituals in both political (dynastic continuity, showing off your wealth) and psychological (the need to sacrifice) terms. But the weirdness of it has stayed with me. Couldn't people think of less destructive ways to accomplish those aims, like holding funeral feasts for the community and giving everyone a gift? 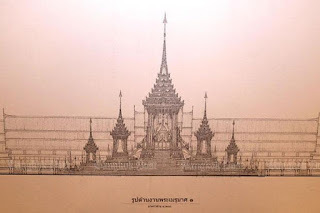 This was brought back to me by Seth Mydans' story on the funeral of Thailand's late king, planned for October. 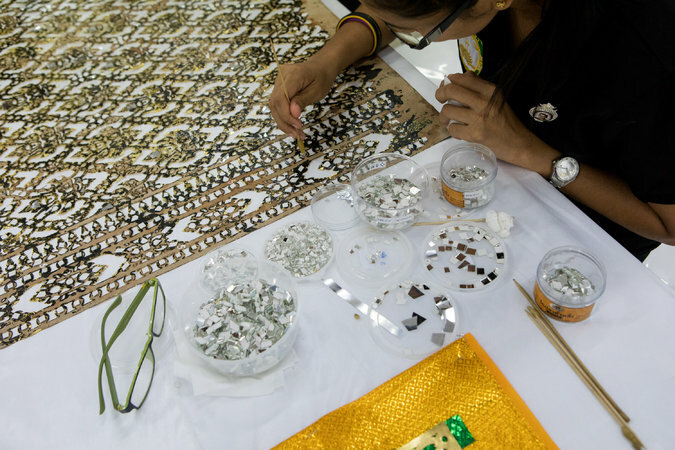 The event has to wait for the anniversary of King Bhumibol Adulyadej's death because the preparations are so elaborate. 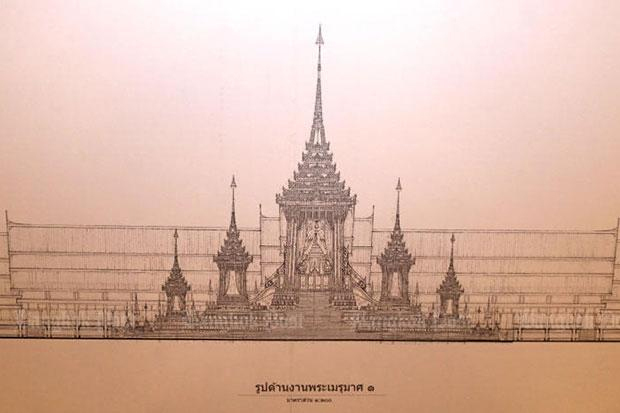 The top image shows the planned structure of his funeral pyre, and the image above shows it under construction. 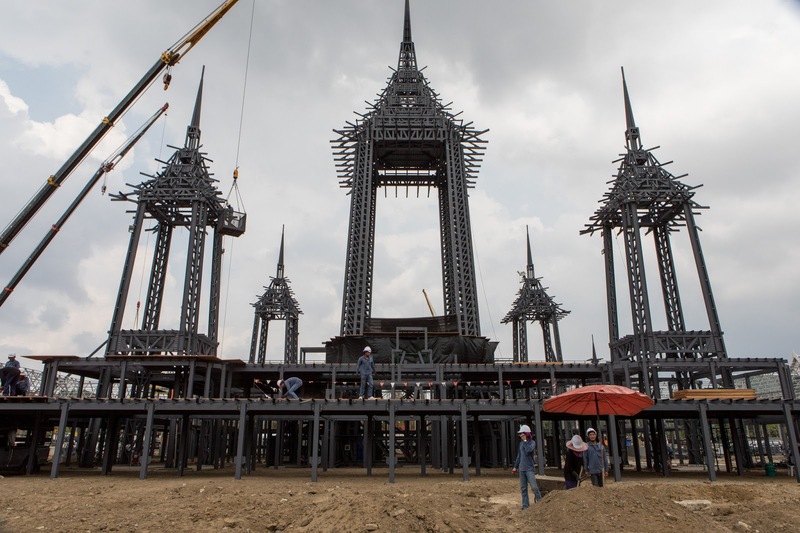 And the nine-spired, 165-foot-tall structure is just the beginning. 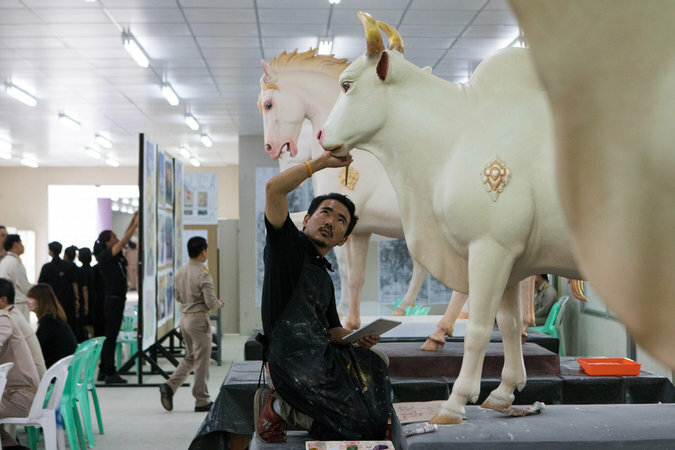 The pyre will be full of the best goods Thailand's artisans can produce, from glittering textiles to lifelike statues of animals. The structure will be full of murals painted on paper, depicting Buddhist scenes and scenes from the king's life. According to Mydans, the artistic style will more European and lifelike than traditional Thai, in keeping with the king's tastes. (Will some future king's pyre be decorating with abstract splashes, or pop art cartoons?) There will be a statue of the king's favorite dog. Oddly enough, the huge structure isn't even burned; the king is cremated in a chamber in the center, and the whole thing then dismantled and distributed to monasteries or others who might want the pieces. But the expense is no doubt still very great. That this still makes sense to Thais who miss their king of 70 years says much to me about the riches lavished on dead rulers from the Pharaohs and the Kings of Ur to Chin Shih Huang Ti.